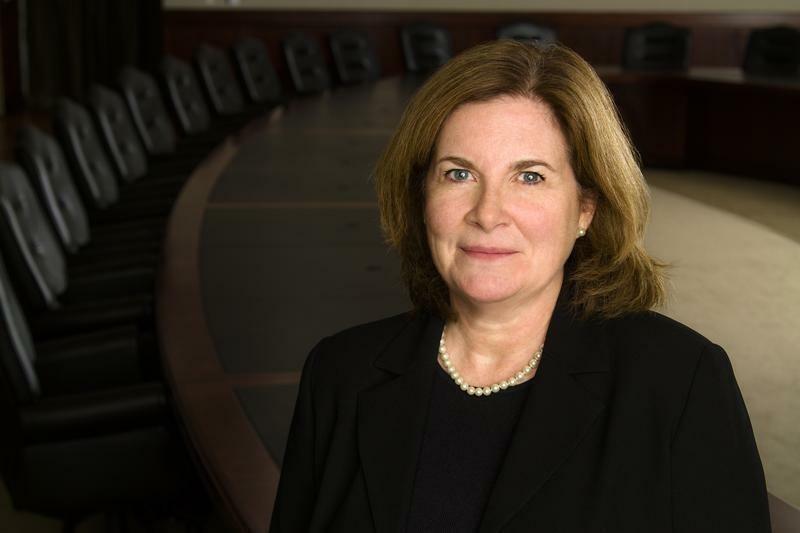 PALO ALTO, Calif. (Reuters) - Kansas City Federal Reserve Bank President Esther George said Thursday she is open to leaving the U.S. central bank's balance sheet big even as it withdraws accommodation, a comment that reveals the extent of uncertainty at the Fed over future policy. The Fed's balance sheet now tops $4 trillion after years of buying bonds to boost the economy, a policy that George has opposed for years. At Stanford University's Hoover Institution conference on central banking, she reiterated her view that the Fed should start to raise rates "shortly after" it ends its current round of bond-buying, and that rate rises should be steeper than many now expect. Then she was asked how she feels about keeping the Fed's balance sheet big once rates start to rise. "I will look to people like John Cochrane to help inform how we should think about this,” George said. Cochrane, a University of Chicago professor, presented a paper earlier at the conference in which he argued the Fed can maintain a big balance sheet without causing inflation because it has the ability to pay interest on excess bank reserves. "I am very open to looking at how we conduct policy going forward," George told the group of prominent economists and three fellow Fed policymakers, including San Francisco Fed President John Williams. Williams and New York Fed President William Dudley said earlier this month that they would support keeping the balance sheet at its current size until after the Fed starts raising rates, a stance that has been taken as dovish. That one of the Fed's fiercest policy hawks would consider keeping a large balance sheet is a surprise. The Fed is on target to phase out bond-buying completely by this coming fall. Fed Chair Janet Yellen has said short-term interest rates will stay at their current near-zero level for a "considerable" time afterward, and will then rise only gradually. George warned that keeping rates low until even after the recovery is complete courts greater risk-taking by banks, she said. Fed officials on average forecast short-term rates to be at just 2.25 percent by the end of 2016, well below the 4 percent level that is the historical norm. "The degree of inertia suggested (by that forecast) goes beyond what is required to achieve a smooth exit" from the Fed's near-zero rate regime, George said. Earlier, in an interview with CNBC on the sidelines of the conference, Richmond Fed President Jeffrey Lacker suggested rates should start to rise in the second quarter of next year, and pointed to signs that inflation, which has long undershot the Fed's 2-percent target, is accelerating.